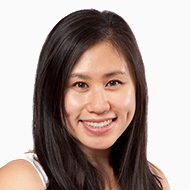 Winnipeg dentist Dr. Anna Le graduated from the University of Manitoba in 2010 with a Diploma in Dental Hygiene and a Bachelor of Science in Microbiology. Driven by passionate interests, Dr. Le completed her formal dental education at the University of Manitoba in 2014 receiving her DMD degree. Dr. Le enjoys continuing her education to perfect her skills in dentistry for optimal patient care and hopes to dedicate more time towards helping underprivileged communities; her last dental mission was to Ecuador, where she treated patients of all ages in the Amazon jungle. In her spare time Dr. Le enjoys a good video game challenge and experimenting with various cuisines and tasting culturally diverse foods. She has also discovered a passion for traveling to learn about cultures and lifestyles. She can often be found either at her local gym or out and about with friends and family. Dr. Anna Le is thrilled to welcome new patients of all ages at Cholakis Dental Group and our sister clinic, Kids Dental.